Charity website Humble Bundle has once again delivered on giving Transformers fans a great deal on Transformers comics today as they're rolling out a bundle of IDW comics featuring both Transformers and G.I. Joe! If you're the type to not like crossovers of the two though, no worries; as that's not the focus of this -- in fact there seems to be rather little focus, with comics ranging from the main IDW Generation 1 continuity (with the likes of More Than Meets The Eye and Till All Are One) to the Live-Action IDW comics to the Regeneration One maxi-series! This does mean that if you've been wanting to dip your toes into some of IDW's Transformers material but you didn't know where to start or what universe to go for; this could be for you! And, just to make this more impressive; the full thing is a whopping $741 worth of digital comics for only $25 -- and proceeds go to the Hasbro's Children Fund! Check out the list of which Transformers comics are in the Humble Bundle below, then click the image to buy some of the bundle if you like and tell us if you did in the forums! Someone correct me if I'm wrong, but I think this might just be the biggest IDW Transformers humble bundle yet. I'm actually not entirely sure if it misses anything from the main G1 continuity, and it throws in some other IDW TF and GI Joe stuff on top of all that! This is bloody the hell huge. edit: just checked, and it includes everything before Death of Optimus Prime and almost everything before Dark Cybertron. It then also includes Combiner Wars, the Autocracy trilogy, Salvation, and almost all the Windblade comics (bar the last three issues of TAAO). And then it includes all 7 volumes of the IDW GI Joe collection, which - as far as I can tell from a few google searches - includes all the main IDW GI Joe continuity comics before Revolution. So... yeah. This is a pretty awesome bundle for fans of the Hasbroverse before it became the Hasbroverse. Gonna have tae see if my funds can stretch tae this! Big Grim wrote: Gonna have tae see if my funds can stretch tae this! Also, anyone else find it odd that GI Joe vs. 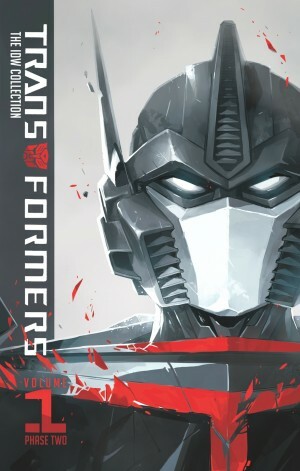 The Transformers #0 is there, but nothing else from that maxi? A single live-action volume - Nefarious - being on its own is odd too, but at least that's, you know, a whole self-contained volume. Yeah same. My tech often hates me so I prefer solid copies. Honestly I'm more of a read it once kind of guy, with rare exceptions, but I also like having it there in case I do want to reread. I prefer physical but this works out well enough and it's a great price. Don't forget to click "choose where the money goes" right around where you input your email. If you don't do that it's only a negligible amount going to charity. Personally I always like to do a nice even split. 4,885 pages were recently viewed by 634 unique visitors. This page was viewed 1 times on Friday, April 26th 2019 6:43am CDT. © 2019 Seibertron, Inc. DBA Seibertron.com. All Rights Reserved. Established June 2000. Seibertron.com is owned by Ryan Yzquierdo.